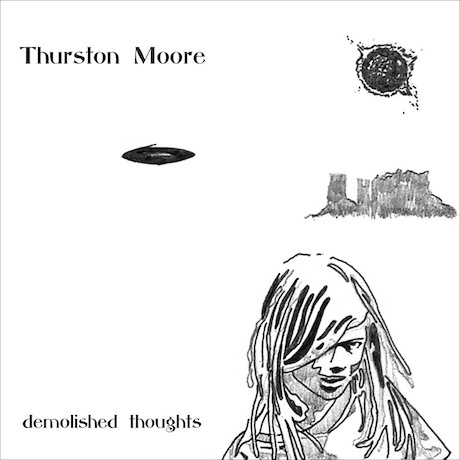 As mentioned earlier this month, May 24 marks the release date for the new 2XLP / compact disc / digital album from Thurston Moore, ‘Demolished Thoughts’. The Beck-produced 9 song collection is an achingly beautiful work that ranks amongst Moore’s most nuanced and personal. Though we’re still a ways off from revealing Thurston’s touring plans for the summer, we’re pleased to reveal the first MP3 from ‘Demolished Thoughts’, the album’s opening song, “Benediction”. Will there be a pre-order? Also, this song is so, so good. to me, it really does speak to the patience one must have to endure the “push-me-pull-you” of a relationship.